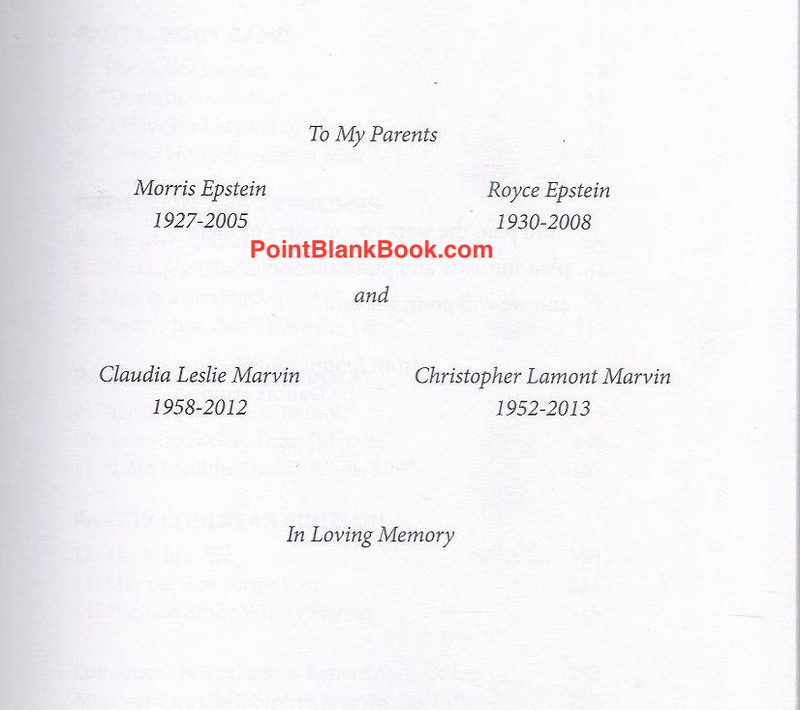 BACK TO THE PRINTER FOR LEE MARVIN POINT BLANK! Back to the printer…for Lee Marvin Point Blank? That’s the case, at least according to my publisher, Tim Schaffner. I hadn’t spoken to him in a while and a recent e-mailing enlightened me to this fact. I of course had no idea! I do know the book has been the bestseller in his stable for some time but it being more than 5 year since the book came out (4 years for the paperback) I didn’t know the paperback had still been selling so well. How cool is that? 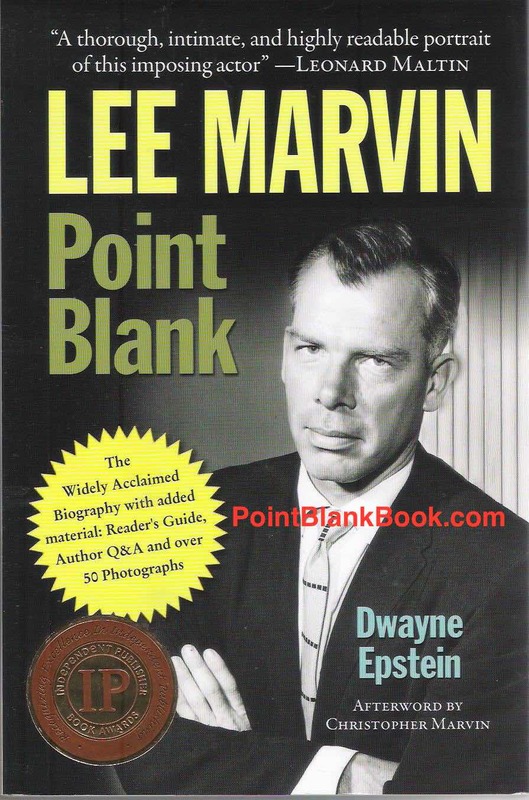 Trade paperback cover of Lee Marvin Point Blank that’s identifiable by the Leonard Maltin quote and added star burst. I can tell you, however, that there are some key differences to the paperback versus the hardcover. There is additional content, some great review quotes, and more…. 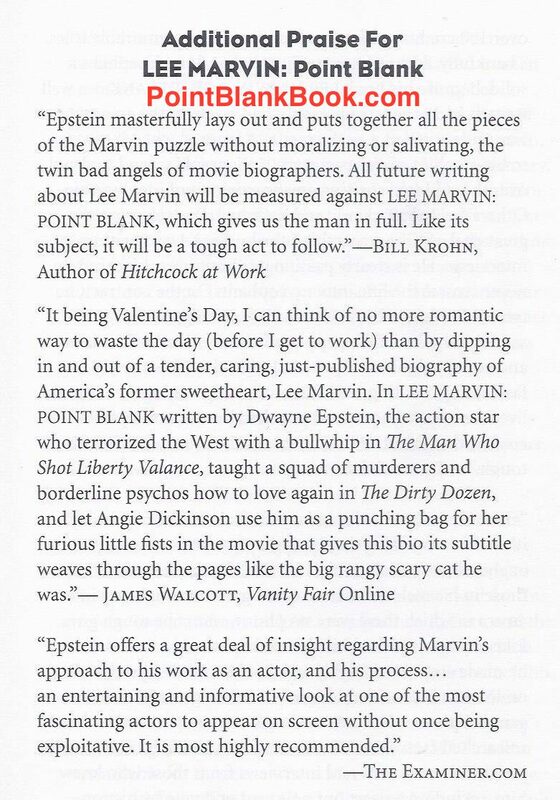 Example of some review quotes used in for the Paperback of LEE MARVIN POINT BLANK. Additional quotes found in the paperback. Oh, yeah there’s one more tiny difference. The hardcover came out in 2013 and both of my parents had passed by then. Also, Lee’s son, Christopher, asked if I’d also be willing to add his sister, Claudia Marvin to the dedication. 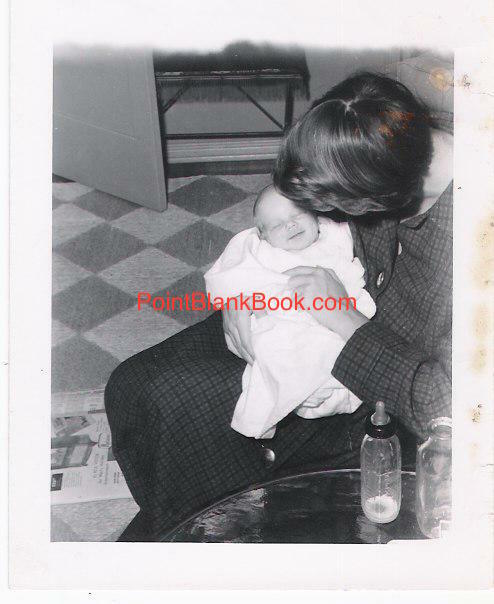 Sadly, I never did get to meet her as she died of liver disease before the book came out. How could I refuse Christopher, who had been so amazingly helpful to my work? When the paperback was ready to come out I had to make an additional change to the dedication with the publisher’s permission…..
Revised dedication to the paperback. As many fans know by seeing his films and reading Lee Marvin: Point Blank, Marvin had a unique ability to make memorable lines of dialogue in a film eminently quotable. Even in the earliest stages of his career, his resonant voice and often sarcastic delivery made Marvin movie quotes stand out from the rest of the cast and even the basic premise of the film. Personal friends and associates noted the same thing when viewing his films. 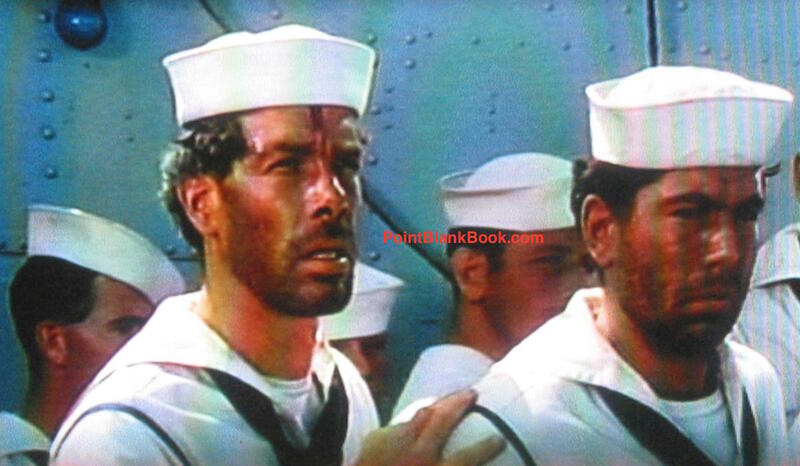 Lee Marvin (“Meatball”) and Claude Akins (“Horrible”) in Edward Dymytrk’s The Caine Mutiny (1954). Adolph Heckeroth, Marvin’s boss at Heckeroth’s Plumbing in Woodstock, had a son, Bill, who took over the company, and remembered the line (and his father’s former employee) so well, he said he repeated constantly at work whenever he needed to clear the area. Henchmen Ernest Borgnine and Lee Marvin watch as Spencer Tracy gets off the train and prepare to confront him in John Sturges’ Bad Day at a Black Rock (1955). The laughter and high-fives continued for some time after. And then there’s his less than stellar film and performance in the all-star cast 3-D opus Gorilla at Large (1954). Marvin’s good friend from his Woodstock days, David Ballantine told me with tongue planted firmly in cheek that he considered it Marvin’s greatest role. 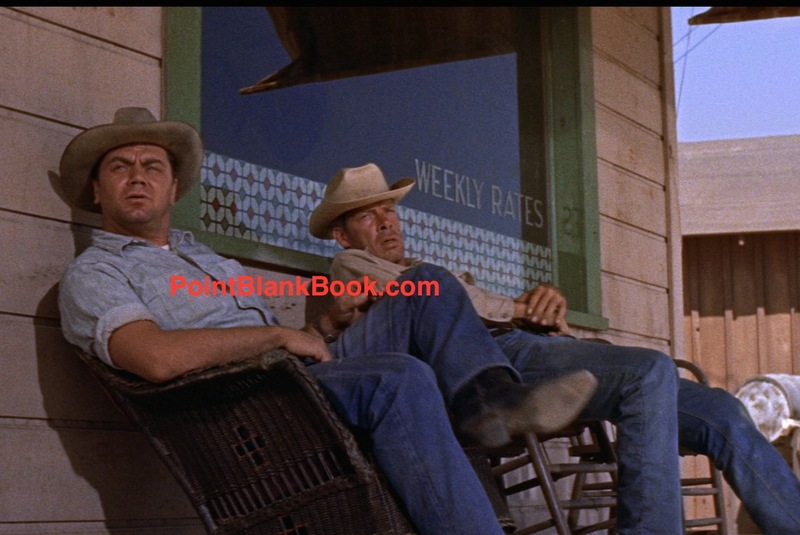 Ballantine told me that his friend’s role as Officer Shaunessey, charged with keeping an eye on the title character, remains his favorite because….well, you’ll have to read Lee Marvin Point Blank to find that out. In the mean time, there’s this memorable Marvin line of dialogue given the weighty dramatic delivery it deserves…. 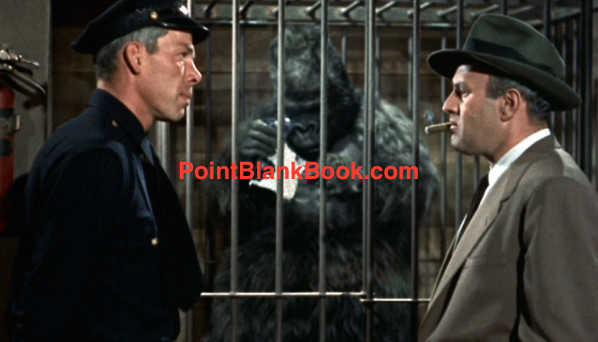 Lee Marvin utters his memorable line to Lee J. Cobb in Gorilla at Large (1954). Hey, any actor can do Shakespeare but let’s hear Olivier bellow out that beauty! Betty Marvin, first wife of Lee Marvin and mother of his four children, passed away from complications following the flu just a few months short of her 90th birthday. 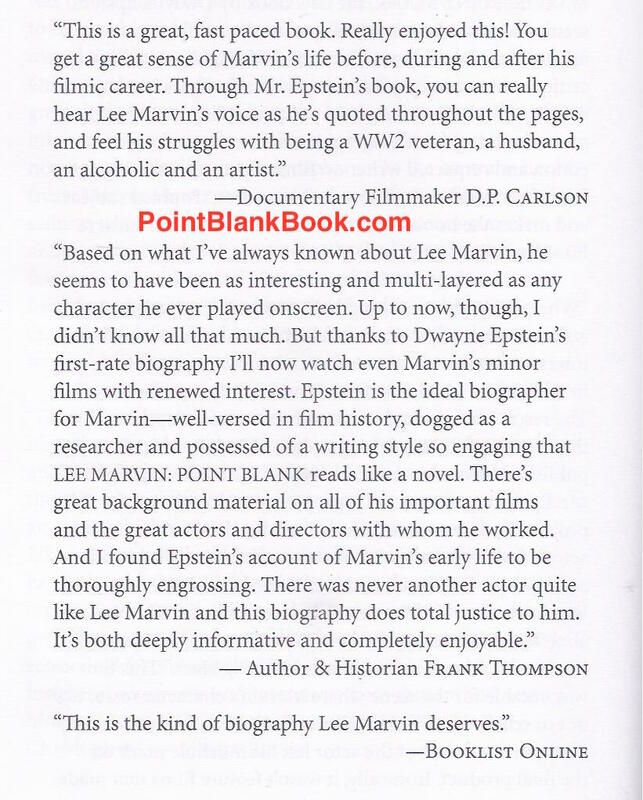 When I began working on Lee Marvin Point Blank and throughout the entire 20 year journey to its publication, she was the single most important individual source in getting it see the light of day. It’s for that reason I loathe writing such blog entries as this but it’s also the reason why I feel it must be done. 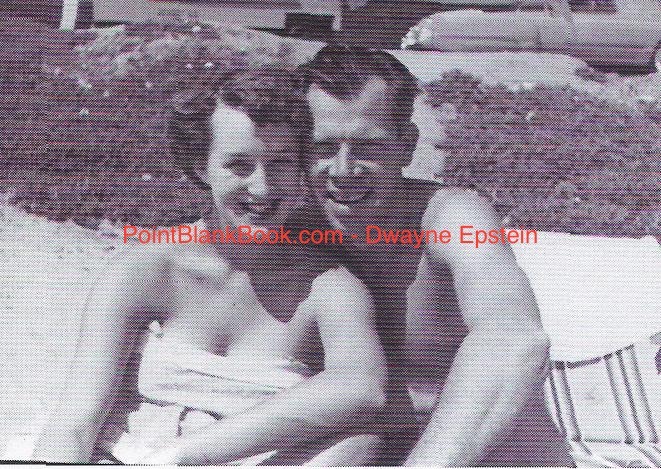 I don’t recall exactly how I was able to come in contact with her but my best guess would be through her former brother-in-law, Robert Marvin. At one point, I was with Robert in Woodstock, NY, when I needed to speak with Betty Marvin on the phone. While she and I spoke, Robert eventually asked for the phone. When I gave it to him, I witnessed Robert, who had not spoken to Betty in decades, poignantly apologize to Betty for their lack of contact and they way he had treated her when they had been in contact. I never asked what that was in reference to but I was genuinely moved to hear Robert speak the words. Betty Marvin was the kind of a person that could elicit such words. Newlyweds Lee and Betty Marvin. That first night I met Betty Marvin, way back in 1994, remains a cherished memory. Prepared for the interview as best as possible, I drove up to Montecito from Long Beach with the intent of being as professional as I knew how. That didn’t last long. Upon meeting her, I was completely disarmed by her frankness, hospitality and good humor. In no time at all it seems the initial interview went into the wee hours, making it too late to drive back home for the night. She graciously offered me her guest bedroom and the next morning we went to her storage facility where she was even more gracious in allowing me access to her family photos and years with her ex-husband. Many of those never-before-seen photos ended up in the book. 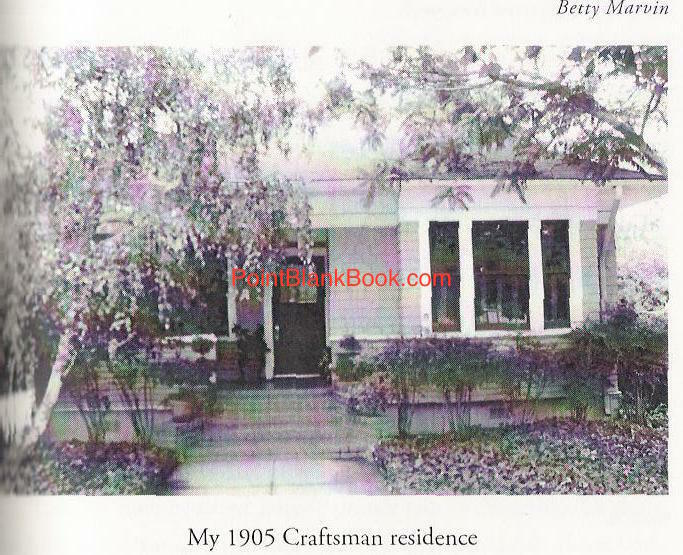 A photo from her own book depicts Betty’s home in Santa Barbara County where she graciously welcomed me. On the left side of the home towards the back is where her son Christopher planted cactus from cuttings taken from his father’s original plants. I should also point out that during that first long confab, she constantly asked if I wanted anything to eat or drink. When I eventually acquiesced, she put out a wonderful spread of homemade goodies and uncorked some wine. As the wine flowed through the night, so did the laughter and on occasion some tears. We stayed in contact regularly after that first get-together and even went to the movies and had dinner on occasion. There are no amount of positive adjectives that can best describe what a wonderful person I discovered her to be. Once she put her faith and trust in what I was working on, she could not be more helpful. She gave me additional contacts, the aforementioned photos, as well continuing insights and anecdotes I could never have gleaned from anyone or anywhere else. Whenever I was enroute to northern California to visit my girlfriend’s family, we always stopped by and saw Betty on the way, who offered such surprising delicacies as hearty homemade bread and delicious wild mushroom soup on our journey. 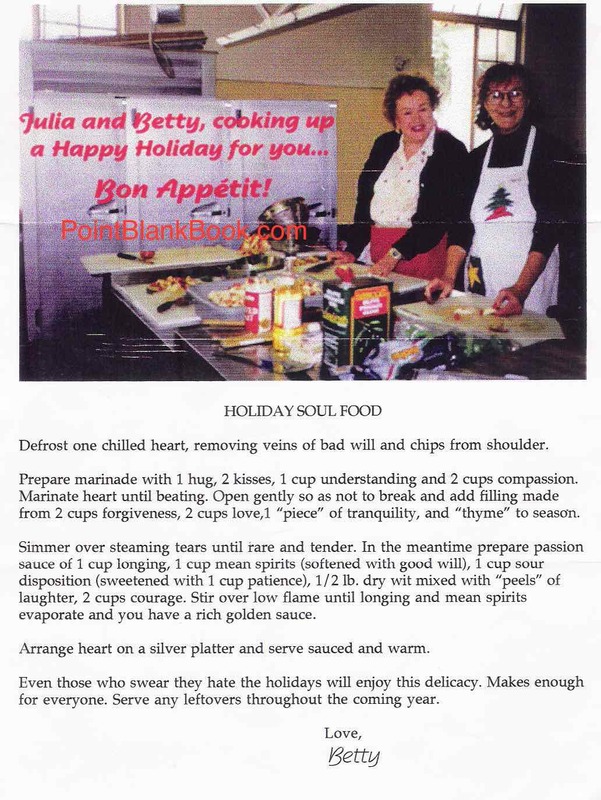 She said the recipe came from her good friend, Julia Child…. Betty Marvin (left) with good friend Julia Child depicted for one of her wonderful Xmas cards. My favorite thing she managed to do was get her son Christopher to agree to go on the record with me. Reticent at first, I met Christopher at a going away party for his mother as she was about go on an around the world excursion all by herself…in her 70s! Betty got both of us together during the party by rounding us up in the midst of the revelry and said to her son, “Now you go in the next room with this man and you talk to him!’ Since it was her party, Christopher sheepishly agreed and another great exclusive (and friendship) was put on the record. As the worldwide trip can attest, Betty was also quite a lover of life. She painted, sculpted, got her pilot’s license, created biodomes in Mexico and more, all while most people were languishing in retirement. Just an amazing woman! 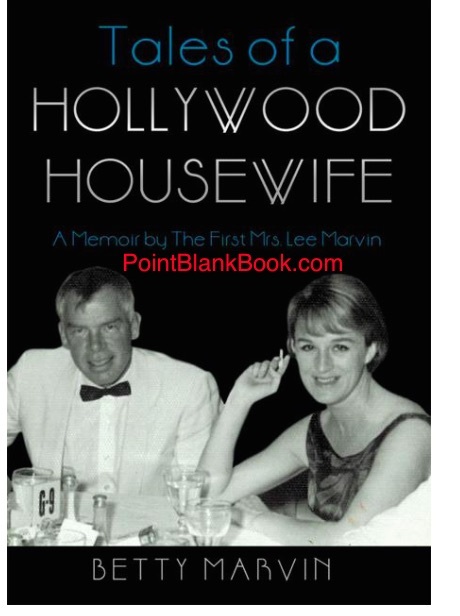 When she was considering writing her own memoir (Tales of a Hollywood Housewife) she asked me if she thought it best to use her own name in a straight forward account of her life or a fictitious telling and non de plume. I told he she should call herself “Mrs. James Coburn.” We both got a kick out of that. 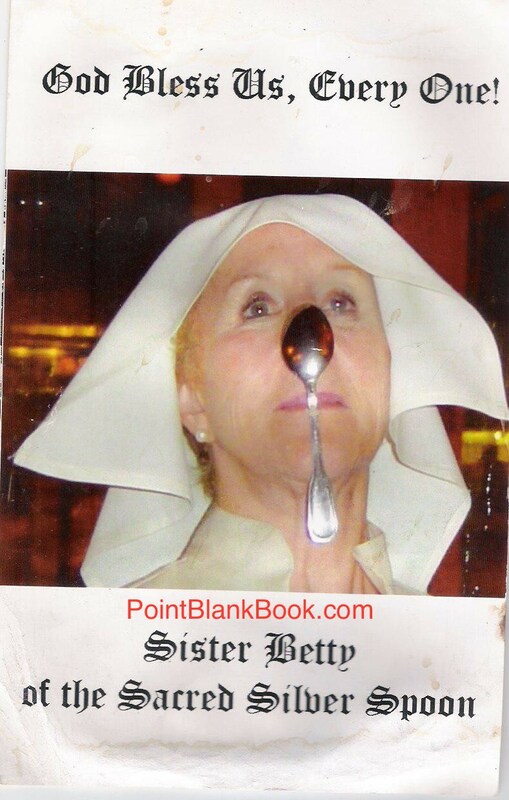 Betty Marvin’s own account of her life, which is still very much available and HIGHLY recommended! I have so many wonderful memories of Betty I can keep this one blog entry going forever. Suffice to say writer’s cramp makes that idea rather prohibitive but on occasion, when the mood strikes, I will revisit some of those memories here once more. In the mean time, below are several more images from her book and other images that may show just a portion of what a terrific lady she was. I’ll miss her dearly but the memories are intact and will be as long as I’m alive. I’m pretty sure the same can be said by anyone who knew her. So long, Betty. Your time here helped change and enlighten many a life. I know it did mine. Betty photographed by Lee holding their ten day old son, Christopher. Typical Xmas card Betty sent me and her friends a few years back. 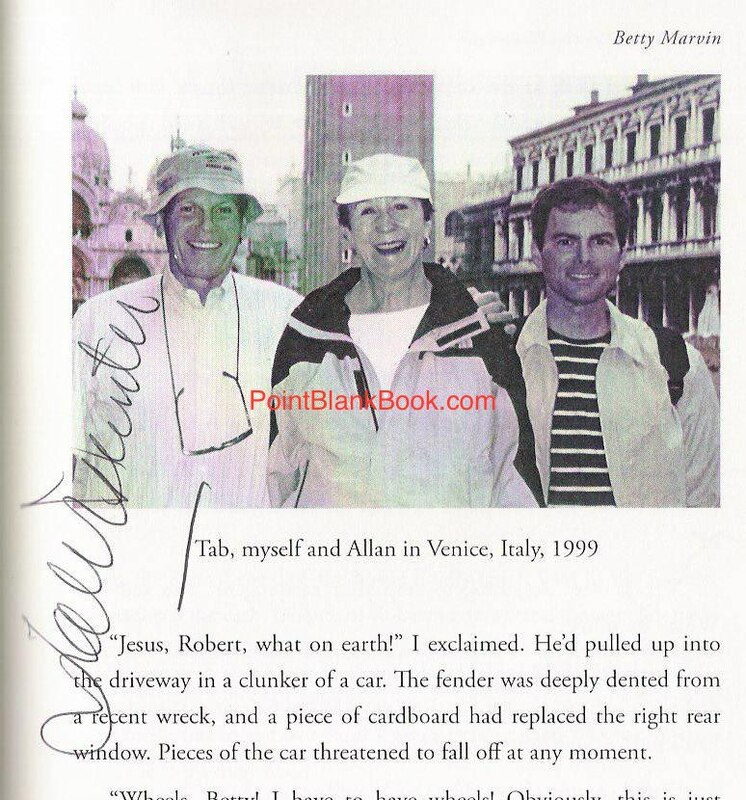 At Betty’s book signing in her Santa Barbara home, her close friend tab Hunter agreed to sign my copy on the page pictured above.